The Three Rs: Rants, Raves and (Occasional) Reflections: George Clooney, Where Are You? George Clooney, Where Are You? TV misrepresents hospital emergency rooms. On TV, patients are rushed into the ER, and everyone gets speedy and caring treatment. Doctors take a personal interest in their patients and give 150%. Not so in real-life ERs. In the real world, ER staffs are often overwhelmed, overworked, and, as a result, too likely to be short on patience and compassion. One night, I received a series of text messages from a friend. She's been battling health issues--and the health system--for months now. She moved here from Texas via a town maybe thirty miles south of St. Louis. Because she had just moved here and because she is on Medicaid, she does not yet have a local primary care doctor. She is in a great deal of pain and is suffering, but the system keeps her waiting anyway. I wonder, are they going to keep her waiting until it's too late? She was in so much pain Saturday night, she turned to alcohol for relief. She didn't want to go to the nearest ER. Past experience had taught her that they weren't likely to do anything for her anyway. I was worried about her drinking--she was alone in her apartment. What if she fell and was seriously injured? It would take a lot of booze to ease her pain. Her text messages were becoming more difficult to read--she was running misspelled words together. "You're drunk," I texted her. "How can you tell?" she wanted to know. By the next day, I had foolishly convinced her to call 911. After being chewed out by an EMT en route to the hospital, she was taken into the ER, where she was seen, not by a doctor, but by a nurse practioner, whose bedside manner was less than stellar. She refused to contact the PCP my friend had seen in her former town of residence, or the neurologist who had advised her to go to the ER. She asked to speak with a social worker. This request was also refused. My friend was discharged with nothing done to help her. I couldn't believe the triage nurse had actually asked her if she was in pain. Why else would she BE there? 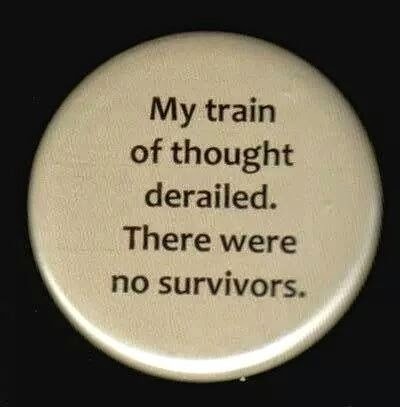 Not a place I would go if I had another option. "Tell her no, you're just traveling the country, checking into ERs in a bid to make the Guinness Book of World Records," I told her. "With my luck, they'd believe it and kick me out of here," she objected. My daughter nearly died when I took her to a nighttime pediatric clinic and the doctor just looked at us blankly when I told her Michelle had had ketoacidosis before. I think the doc cut class the day they covered diabetes. Michelle went to the ER later that night, where the doctors told her she shouldn't be alive, let alone conscious. Norma, what happened...didn't you have George's number? 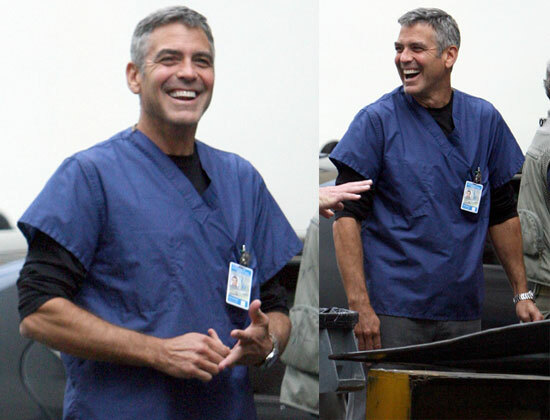 If all the doctors looked like George Clooney then the wait times would be even longer. I didn't even see him when he was filming Up in the Air here. I don't have the patience to be a stalker. 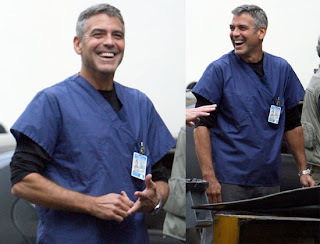 If I'd had his number, though, the call would have gone something like this: "Dr. Clooney, I need a complete physical, stat. And take your time about it." I had a student brought to the ER for chest pain. She was ready to collapse on the floor but that didn't stop them from making her wait 4 hours to see a doctor. The last time I was in an ER, a woman came in with what appeared to be a stroke in progress. She was immediately taken off for examination and treatment. Those of us with far less urgent matters were pushed back, of course, as it should be. Write Like Your Life Depends Upon It!